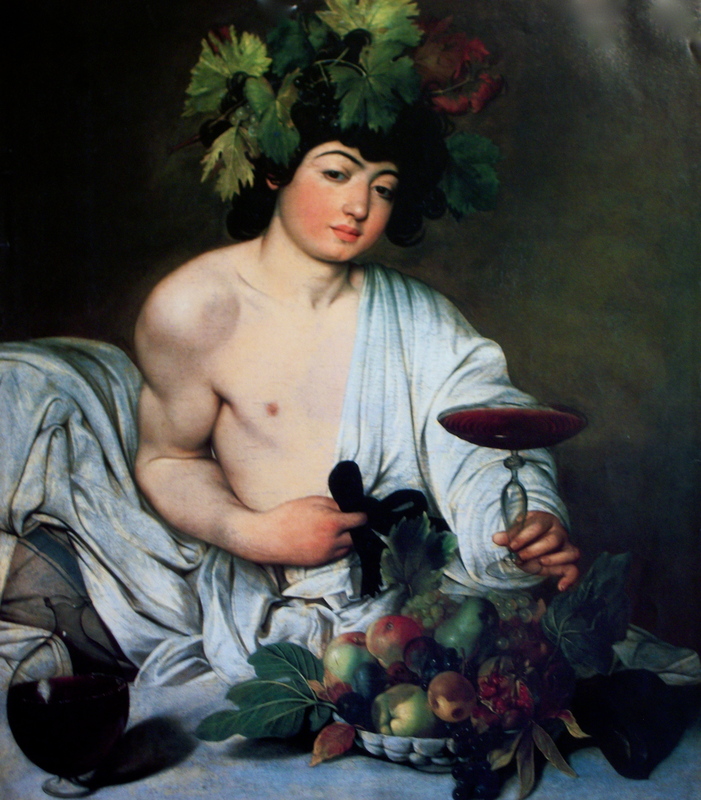 “Bacchus” (Caravaggio), @ 1595, Oil on Canvas, 37 x 33 inches, Uffizi, Florence. A traditional lesson in classical painting is the copy of an Old Master painting. The purpose is in making connections between drawing and painting: when creating a monochromatic graphite drawing (done initially), a study of the composition of values is made. This will later aid in color studying of the painting. First we will make a grid related to Sacred Geometry, overtop the reproduction. This grid is on plexi glass. 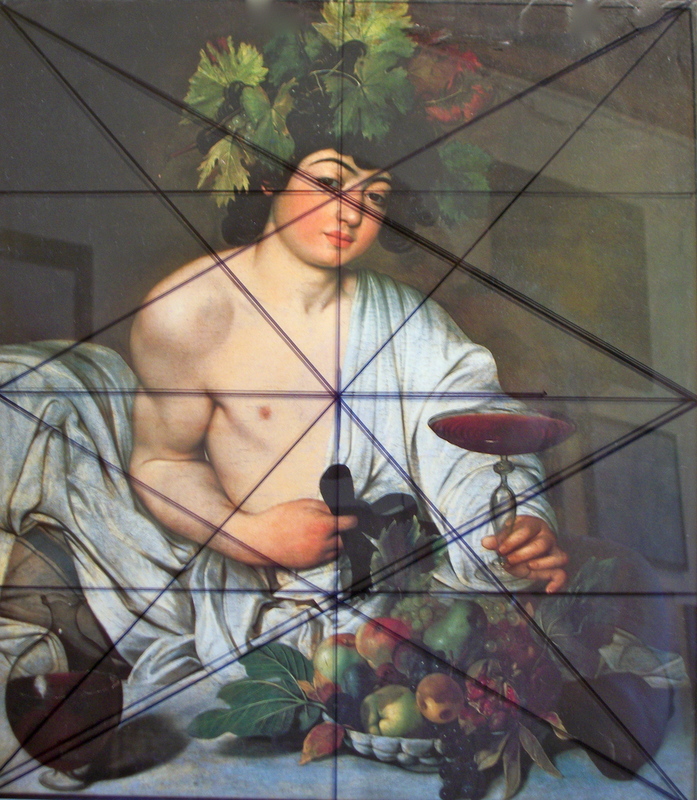 Reproduction of “Bacchus” with grid, @ 12 x 16″. I will begin in my sketchbook a tonal study of the same, in proportion similar but smaller, to fit in my 11 x 14″ sketchbook. This will be the early stages of the entire project, will eventually culminate in a full color painting. I will study the relationship of important lights, darks, overall composition and how forms and spaces are intersected by the sacred geometric grids. 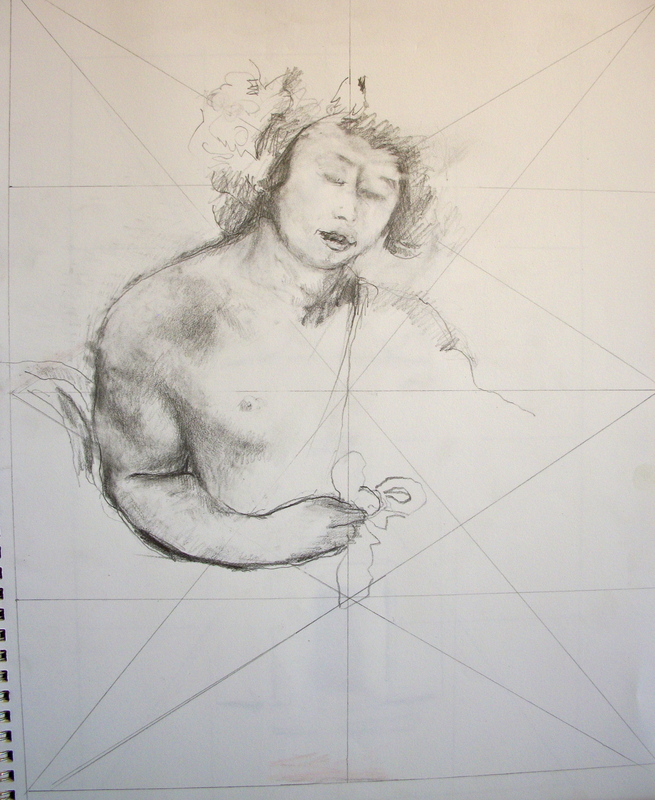 Beginning tonal study in graphite of “Bacchus”. Thank you, and I’m glad that you stopped by!